Can it get any more surreal than this? Are you aware that Banned Books Week, which your American Booksellers Association sponsors, has banned all mention of Amazon’s ban on World War II revisionist (“Holocaust Denial”) books by historian Germar Rudolf and others? Mr. Rudolf’s many volumes, including a landmark work of erudite historiography, Lectures on the Holocaust, were banned for sale by Amazon earlier this year. (What few reports of Amazon’s ban that made it into the mainstream news, have falsely reported that just three books were banned). Banned books that are banned by Banned Books Week? Can it get any more surreal? Do you intend to do anything about this farce? This Hoffman Wire column is online — spread the word! BERLIN — Social media companies operating in Germany face fines of as much as $57 million if they do not delete illegal, racist or slanderous comments and posts within 24 hours under a law passed on Friday. The law reinforces Germany’s position as one of the most aggressive countries in the Western world at forcing companies like Facebook, Google and Twitter to crack down on hate speech and other extremist messaging on their digital platforms. But the new rules have also raised questions about freedom of expression. Digital and human rights groups, as well as the companies themselves, opposed the law on the grounds that it placed limits on individuals’ right to free expression. Critics also said the legislation shifted the burden of responsibility to the providers from the courts, leading to last-minute changes in its wording. Technology companies and free speech advocates argue that there is a fine line between policy makers’ views on hate speech and what is considered legitimate freedom of expression, and social networks say they do not want to be forced to censor those who use their services. Silicon Valley companies also deny that they are failing to meet countries’ demands to remove suspected hate speech online. increase in racist comments and anti-immigrant language after the arrival of more than a million migrants, predominantly from Muslim countries, since 2015, and Heiko Maas, the justice minister who drew up the draft legislation, said on Friday that it ensured that rules that currently apply offline would be equally enforceable in the digital sphere. “That is not a limitation, but a prerequisite for freedom of expression,” he continued. The law will take effect in October, less than a month after nationwide elections, and will apply to social media sites with more than two million users in Germany. It will require companies including Facebook, Twitter and Google, which owns YouTube, to remove any content that is illegal in Germany — such as Nazi symbols or Holocaust denial — within 24 hours of it being brought to their attention. The law allows for up to seven days for the companies to decide on content that has been flagged as offensive, but that may not be clearly defamatory or inciting violence. Companies that persistently fail to address complaints by taking too long to delete illegal content face fines that start at 5 million euros, or $5.7 million, and could rise to as much as €50 million. elivers the news driving the markets and the conversation. Delivered weekday mornings and afternoons. Every six months, companies will have to publicly report the number of complaints they have received and how they have handled them. In Germany, which has some of the most stringent anti-hate speech laws in the Western world, a study published this year found that Facebook and Twitter had failed to meet a national target of removing 70 percent of online hate speech within 24 hours of being alerted to its presence. 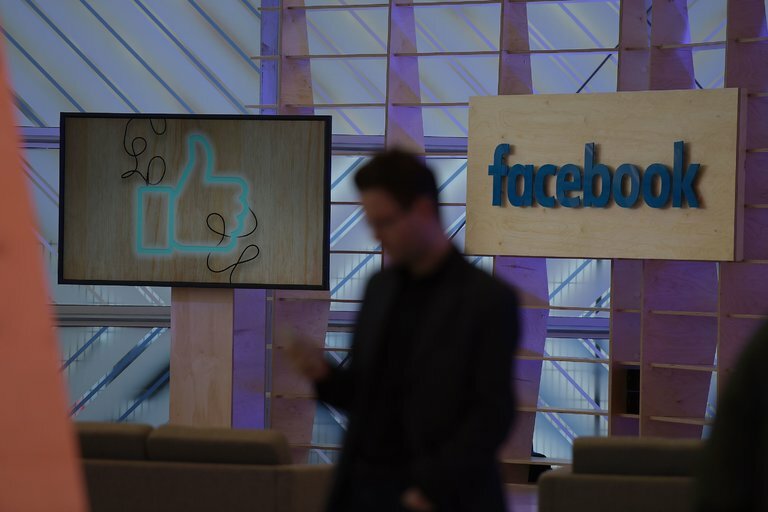 The report noted that while the two companies eventually erased almost all of the illegal hate speech, Facebook managed to remove only 39 percent within 24 hours, as demanded by the German authorities. Twitter met that deadline in 1 percent of instances. YouTube fared significantly better, removing 90 percent of flagged content within a day of being notified. Facebook said on Friday that the company shared the German government’s goal of fighting hate speech and had “been working hard” to resolve the issue of illegal content. The company announced in May that it would nearly double, to 7,500, the number of employees worldwide devoted to clearing its site of flagged postings. It was also trying to improve the processes by which users could report problems, a spokesman said. Twitter declined to comment, while Google did not immediately respond to a request for comment. The standoff between tech companies and politicians is most acute in Europe, where freedom of expression rights are less comprehensive than in the United States, and where policy makers have often bristled at Silicon Valley’s dominance of people’s digital lives. But advocacy groups in Europe have raised concerns over the new German law. Mirko Hohmann and Alexander Pirant of the Global Public Policy Institute in Berlin criticized the legislation as “misguided” for placing too much responsibility for deciding what constitutes unlawful content in the hands of social media providers. “Setting the rules of the digital public square, including the identification of what is lawful and what is not, should not be left to private companies,” they wrote. Even in the United States, Facebook and Google also have taken steps to limit the spread of extremist messaging online, and to prevent “fake news” from circulating. That includes using artificial intelligence to remove potentially extremist material automatically and banning news sites believed to spread fake or misleading reports from making money through the companies’ digital advertising platforms. A reliable source informs me that several thousand volumes have been shredded or put through incinerators at Amazon, but this is hard to verify. This has to be one of the greatest acts of cultural vandalism perpetrated within recent times. 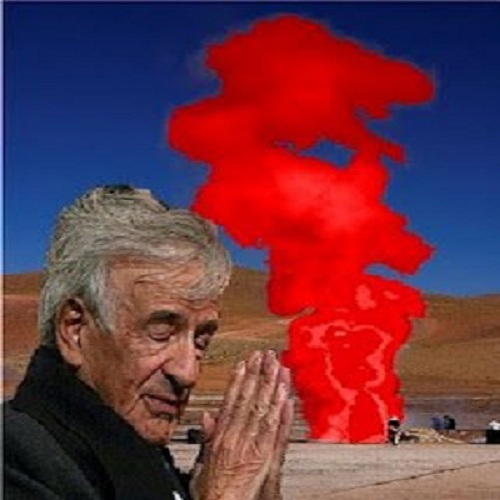 In characteristic Orwellian fashion, many historical facts are being “flushed down the memory hole” and false factoids put in their place — like the fairy tales spun by Elie Wiesel, e.g., Jewish blood gushing from the ground in geysers (picture). The Cultural Vandals dare not debate these matters in public, preferring the Stalinesque weapons of censorship and intimidation, followed in many cases by fines and imprisonment. Only a few months ago, I was lucky enough to buy from Amazon a copy of M.S. King’s The Bad War: The Truth Never Taught About World War 2. Mike King is the owner of the Tomato Bubble website. His lavishly illustrated 246-page book sits on my bedside table. I am one of the lucky ones who bought the book just in time. Because it has now been banned by Amazon. What exactly are these mysterious “guidelines”? Amazon refuses to give details. Apparently the head honchos at Amazon don’t like Mike’s ideas. For example, in writing about World War Two, Mike expresses a sneaking sympathy for the German side, hinting it might have been better all round if the Germans had won the war. Mike mixes up the good guys with the bad guys. Let’s face it, that’s not acceptable. It’s also possible that Mike, at some time or other, had expressed doubts that six million Jews had died in gas chambers during the Holocaust. That was a big mistake. In fact, it’s the biggest mistake anyone can make nowadays. It can get you slung into prison in at least sixteen countries: Austria, Belgium, Czech Republic, France, Germany, Hungary, Israel, Liechtenstein, Lithuania, Luxembourg, Netherlands, Poland, Portugal, Romania, Slovakia, and Switzerland. Mike’s shockingly incorrect views on the Holocaust obviously jangled a few nerves at Amazon and consequently violated their “guidelines”. So Mike had to go. And so Mike’s book was banned. Before I go any further, a few words on Amazon would perhaps be in order. Amazon is now the largest internet retailer in the world, valued at $240 billion. It is owned by Jeff Bezos, worth $45.2 billion. Jeff happens to be the fifth richest billionaire in the world, the first four being Bill Gates ($75 billion), Amancio Ortega ($67 billion), Warren Buffett ($60.8 billion), and Carlos Slim Helu ($50 billion). Is Jeff Bezos a Jew? I don’t think so, though he has “crypto-Jew status” among the more wild-eyed conspiracy theorists who people the internet. It’s possible that many of Jeff’s closest associates are Jewish, however, such as Tom Alberg, Jon Rubenstein and David Zapolsky. It’s obviously relevant to enquire into Amazon’s Jewish connections, since there is more than enough evidence to support the view that Jewish rabbis have had an enormous input in dictating Amazon’s famous “guidelines” (see video below). While investigating Amazon’s possible Jewish links, I was amused to find myself on a website that gave a link to an article called “Is Jeff Bezos Evil?” I decided to click on this to find out, but lost interest once I was told I had to log in and give my password. So the question of whether Jeff is evil or not remains unanswered. A few further clicks, however, provided me with some clues as to whether Jeff was “evil” or not. It tuns out that Jeff is the ultimate ruthless capitalist who exploits his workers to the bone, getting the last drop of blood out of them — like a vampire running amok in a blood storage factory. He has 180,000 employees working for him full time, and 380,000 people working for him part time in various foreign countries, and boy! he really does drive them like a slavemaster! If “ruthless capitalist vampiric slavemaster” equates to evil, then I guess the word “evil” has to apply to Jeff Bezos. Does this man look Evil? YOU decide! 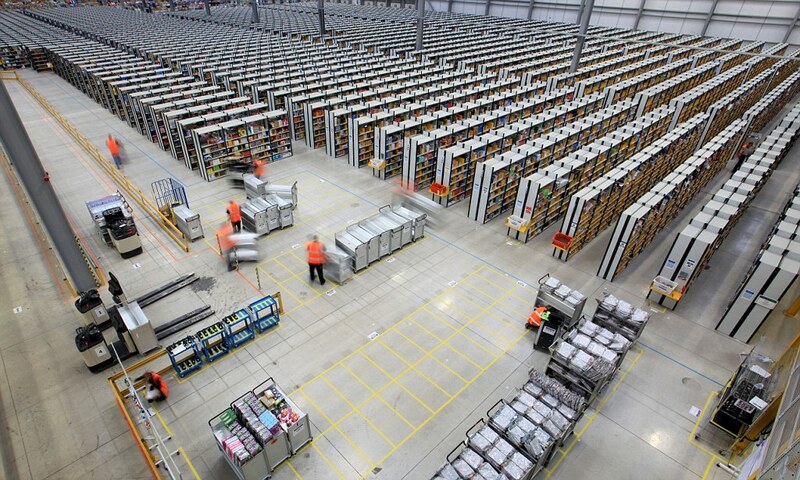 Here’s what the Daily Mail has to say about working conditions at Amazon. An undercover reporter for the newspaper managed to infiltrate the company by getting a job there, and seeing what it was like working 12-hour shifts for a company on the minimum wage. — Amazombies: Seven seconds to find an item, every move filmed and blistering 12-hours shifts with timed toilet breaks. — Workers faced relentless time targets for every task they were given. Staff had to work ‘compulsory’ extra days and hours and were given short notice of shift changes. There was an atmosphere of mistrust and suspicion, with handheld scanners tracking workers’ whereabouts, plus CCTV cameras monitoring the warehouse, and airport-style security checks. — Staff were left with blistered feet after walking up to 14 miles a day. One employee said: “You just leave your brains behind when you start working here. You’re just a zombie. On our induction day, training staff told us we could expect to walk ten to 14 miles a day [collecting items from distant shelves]. By comparison, Royal Mail postmen normally walk no more than eight miles a day. To my regret, this is one book I don’t own. And now it’s too late to buy it from Amazon. Barrett goes on to name other books Amazon has tossed on the bonfire. Nick Kollerstrom’s Breaking the Spell is one of them. With academic qualifications in Chemistry and a doctorate in the philosophy and history of science, Dr Kollerstrom had been under the impression that he was qualified to say something about Zyklon B, the gas allegedly utilized to kill Jews in gas chambers. The results of Kollerstrom’s painstaking research into Nazi “death camps” were set out in his controversial book Breaking the Spell. In this he reached conclusions which were obviously in conflict with the unstated “guidelines” set by his employer, University College, London. Dr Kollerstrom had discovered that Zyklon B gas, purportedly used to exterminate Jews in large quantities, was actually used to kill lice in order to prevent Jews (and others in the camps) from dying of typhus. Zyklon B was a pesticide, not a murder weapon for thinning Jewish world population. Such a view, of course, could not be tolerated by Dr Kollerstrom’s prestigious university, especially by its Jewish staff. So Dr Kollerstrom was given the chop. Sacked by his college and then given the cold shoulder by Amazon. A convert to Islam, Faurisson is wildly popular in Morocco, where his books were recommended to me by academic colleagues there during my year of Fulbright-sponsored Ph.D. research in 1999-2000. You will find full details of this savage attack on the CODOH site. Similar facial disfigurement of political dissidents who dare to question the Jewish version of the Holocaust has been promised by the same Jewish organization that carried out the attack on Faurisson. “Faurisson is the first, but will not be the last,” they threatened. The 60-year-old scholar, who had been out walking his poodle in a park in his home town of Vichy, suffered a broken jaw and severe head injuries. Physicians operated for four and a half hours to repair his jaw and treat a broken rib and badly swollen face. Another casualty of this Jewish witch hunt is Germar Rudolf. Like Faurisson, Rudolf too has paid dearly for discovering unpalatable truths and transmitting them to others via the printed word. He has been thrown into prison. His books and papers have been stolen. His savings have also been plundered. As you might expect, Germar Rudolf has been another victim of Amazon’s witch hunt. He is now too dangerous to be read. It would be highly toxic if thousands, if not millions of people, should begin to suspect that they had been bamboozled by the Holocaust merchants. That they had been the victims of a well-organized hoax. Kevin Barret publishes a letter written to him by Germar Rudolf which I should now like to quote in full. It’s an important letter because it not only reveals the huge extent of Amazon’s censorship but also of Amazon’s complete capitulation to Jewish demands. If entire governments — like that of the United States, Britain, France and Germany — can fall so easily under the Jewish heel and take orders from the likes of the Rothschilds and the Soroses, what hope is there for mere international corporations like Amazon? In your latest article, which I read with interest and gratitude, you write about a handful of revisionist books. Well, what an understatement. While Castle Hill Publishers might be the biggest fish in the revisionist teapot, we’re by far not the only ones publishing books in that field. But from our program alone, the following 68 titles were banned on March 6. Use the links provided to see for yourself. This 2-minute video was posted on YouTube on July 6, 2015. It shows an angry rabbi demanding that Amazon stop selling books “denying the Holocaust”. He describes this exercise in historical updating as “blatant anti-Semitism.” It took Amazon little over a year to cave in to this man’s hysterical demands. It hardly needs pointing out that it is only through the hard work of revisionist scholars like Faurisson that the world was to learn that no Jews were ever turned into lampshades and soap. If this rabbi had had his way, important facts like these would have been suppressed. Paul Fromm, Director of the Canadian Association for Free Expression, interviews singer, songwriter and musician Alison Chabloz. Persecuted for her comical revisionist songs, the enemies of free speech have tried to beggar her by going after her jobs. It is war between freethinkers and the censoring apostles of “diversity” for anything but dissenting ideas. The executive summary of the report gives the highlights: ” For over 30 years, the League for Human Rights of B’nai Brith Canada’s annual Audit of Antisemitic Incidents has documented harassment, vandalism and violence targeting both individual Jews, and the Jewish community as a whole. This provides a barometer of the levels of racism in this country in general. In 2012, 1,345 antisemitic incidents were reported to the League, an increase of 3.7% over the 1,297 cases documented in 2011. Over the past decade, incidents have more than doubled. * The iincease in Canada in 2012 is still far below the estimated 30% global rise in antisemitic incidents. There was also a decrease in vandalism against Jewish community sites. · The 1,345 incidents include 1,013 cases of harassment (75.8% of the total), 319 of vandalism (23.2%), and 13 of violence (1.0%). Vandalism decreased on average across Canada by 11.9%, with 319 cases in 2012 compared to 362 in 2011. Violence decreased for the third year running, with 13 cases reported in 2012, a significant drop from 24 cases in 2010 and 19 in 2011. Harassment increased by 7.4% from 916 in 2011 to 1,013 in 2012, including 84 threats of violence. Notice that almost half — 521 of 1,345 “incidents” were on the Internet: “Web postings and emails included anti-Jewish propaganda from extremist groups advocating violence, hate-filled lyrics and imagery, and Holocaust Denial.” Notice, as well, that questioning or challenging the Hollywood version of WW II — “holocaust denial” — constitutes an “incident.” Notice further that “hate-filled lyrics and imagery” (pictures?) also constitute “incidents.” Interesting, that hostile actions, as opposed to the expression of opinions have decreased. Jewish groups have been among the most vocal lobbying for open door immigration, as Kevin Macdonald noted in his book The Culture of Critique. They have been strong proponents of “diversity.” Thus, it is somewhat ironic that one of the growing sources of “anti-Semitism” — usually limited to words – is Moslems, one of the many “diverse” groups brought in by the changes in Canada’s immigration policies in 1965: ” When reviewing the types of messaging we see replicated in many of the incidents under review in this Audit, it seems that certain ethnic/religious groups in this country, even those that came generations ago, may have brought the anti-Jewish hatreds of their native lands with them to Canada. Moreover, there are concerns that some Canadians might continue to come into contact with these prejudices locally, even once established in this country, not just through ongoing connections with anti-semitic online sites operating from abroad, but by local influences. In this context, two particular incidents should be highlighted. In British Colombia, a community-based Muslim paper printed conspiracy theories blaming Jews for a range of alleged crimes and refused to withdraw the article even after complaints. In Toronto, anti-Jewish propaganda was found in the curriculum material of a private Muslim school, which was removed but only after complaints were lodged. Even many Jews are skeptical of the ever increasing number of “incidents” B’nai Brith report. Bernie Farber, then a leading light with the rival Canadian Jewish Congress, noted that there could be a 100 per cent increase in “hate literature” if a pamphleteer who last year distributed 1,000 pamphlets got a few more reams of paper and ran off 2,000 copies. Montreal, QC – A prolific blogger tells the media that Chassidic Jews “are religious fanatics trying to create their own laws through intimidation”. What does it add up to? Some petty vandalism. And these “incidents” are chosen as the worst for the month! The Audit seems to find marches or parades promoting “White Pride Worldwide” to be anti-Semitic incidents: “There were 151 incidents in 2012 related to white supremacist activity, similar to the 145 cases reported in 2011. Marches were reported in Vancouver (BC), as well as Edmonton and Calgary (AB), and London (ON), areas where far-right activity has been recorded in past years. Police were active in countering racist activity on the streets of British Columbia and Alberta, which is likely the reason for decreased attendance at such public events.” The last statement is chilling. What does it mean that police “countered? Did that mean harass the organizers? And why should police “counter” political activity. Isn’t it their role to be politically neutral and keep the peace. Also, not to quibble, but what is slanderously called “White supremacist” often means statements about race — White racial pride — and nothing overtly about Jews? One wonders why these 152 “incidents” are even included in the Audit of anti-Semitic incidents. So, where is all this hyperventilating leading? As usual, B’nai Brith portrays Jews as a “vulnerable minority.” The 2001 census, instead, found they are Canada’s wealthiest ethnic or religious group. They are heavily represented — out of all proportion to their percentage of Canada’s population [ according to the 2011 census, Jews are 315,120 of a population of 33,476,688 or .94% ] in the mass media and they certainly have the ear of the Harper government. The Audit wants the government “to make Holocaust denial a specific hate crime under the Criminal Code.” Thus Canadians would have to buy into self-serving tribal history or face prison. Just what is “holocaust denial” — questioning the numbers killed? questioning the preposterous proposition that this was “the greatest crime in human history” — the alleged 6-million apparently being worse than the 8-10-million Ukrainians deliberately starved to death by Stalin in the holodomor, 1932-1933, The second anti-free speech demand is nearly as sweeping and Stalinist: “Ban membership in hate groups” Who gets to say what a “hate group” is? And, by the way, mightn’t a group labouring so mightily to take away freedom of speech be seen as somewhat hateful? This poster, captioned “Jews First, Canadians Second” presumably from the Internet was one of the anti-Semitic “incidents” included in B’nai Brith’s annual Audit. A great woman. Miss Stolz was sentenced to three years and three months in prison for her spirited defence of political prisoner Ernst Zundel in 2005. On November 24, she was a guest speaker at the 8th Anti-Censorship Conference held in Chur, Switzerland. She spoke of the difficulties lawyers have in defending Europe’s new heretics — those who express doubts about the so-called holocaust. One can deny God, even deny science, believe in creatures from outer space, but to question Europe’s new state religion of holocaust is to invite persecution, heavy fines or prison. She reflected on the fact that “holocaust” is not clearly defined and that many of the tenets of this new religion have not actually been proven in court. Well, all hell broke loose. The organizers of the Civic Hall at which the meeting was held have been told they cannot rent it again. An investigation is under way to see whether any “far right” literature was distributed. In this video Sylvia Stolz explains that “far right” is widely used by the politically correct to label any nationalist who stands up for his “volk” or people. 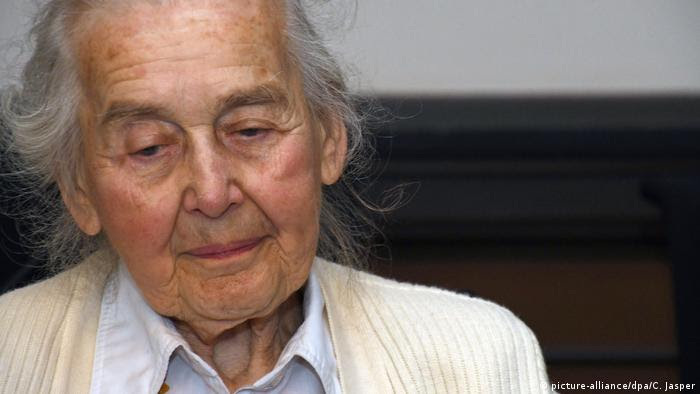 Now, there are calls for criminal charges of “casting doubt on the holocaust” to be laid against Miss Stolz and conference organizer Ivo Sasek. Already, a Swiss lawyer has filed a complaint against Miss Stolz. A politically correct Inquisition holds sway over much of Europe, where a new secular religion — another group’s tribal history, is imposed upon the populace. Anyone who suggests that some of the religion’s claims seem exaggerated or impossible is not argued with but prosecuted and jailed. Further, any lawyer too vigorous in the heretic’s defence faces jail or disbarment. A new Dark Age has descended over a Europe that grins like the village idiot (or, perhaps, more politically correctly ‘mentally challenged person’) and considers itself a champion of democracy and human rights. In this video (English sub-titles) German lawyer Sylvia Stolz replies to her critics as rumours swirl that she will be charged (again) with ‘Holocaust Denial’ for a speech she gave at an anti-censorship conference in November 2012.